Mr. Beck joined Hill, Hill, Carter in 2009. He represents governmental entities, corporations, and insurance companies in federal and state courts and in front of various administrative bodies. 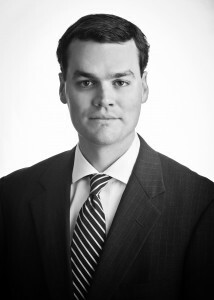 His practice focuses on general and complex civil litigation as well as administrative law matters. Mr. Beck has extensive experience in matters related to public procurement, Alabama’s Open Meetings Act, and the Alabama Taxpayer Bill of Rights. Complete dismissal on behalf of Alabama Department of Revenue in action filed by corporate taxpayer claiming approximately $2 million under Alabama’s Taxpayer Bill of Rights. Counsel on over 170 public procurements totaling over $27 million in value. Obtained over $100,000 on behalf of construction company in contract disputes. Complete dismissal on behalf of property management company of claims alleging discrimination under Title VII and the Pregnancy Discrimination Act. Summary judgment in favor of city, police department, and police officers in wrongful death suit. Summary judgment in favor of school board in suit where Alabama Education Association claimed board failed to follow mandatory salary schedules and pay raises. Summary judgment in favor of insurance company in suit where insured was accused of over-harvesting timber. Jury verdict in favor of defendant in automobile accident case. Complete dismissal on behalf of housing authority in suit alleging due process violation. Trial verdict in favor of client in automobile accident case. Summary judgment in favor of automobile finance company in suit alleging negligence and wantonness.